Our Belgravia inspired Modern Classic Kitchen project was designed for clients Carla and Ben in their South West London home. 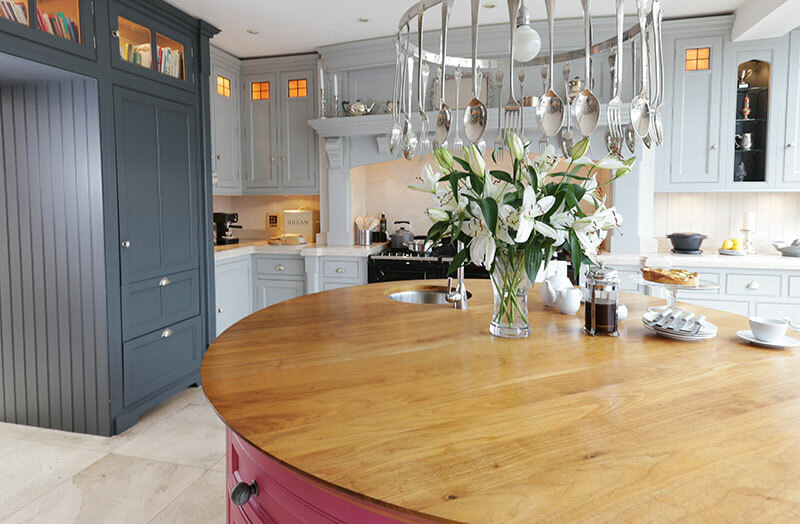 With 3 young children and a vibrant social life Carla and Ben needed a kitchen that encouraged spending time together as a family, as well as fantastic entertaining kitchen for dinner parties. Rather than one large room with distinct zones, their layout flowed from dining room through the kitchen and into the living area to the rear. This layout is perfect – Carla and Ben can be cooking in the kitchen whilst keeping an eye on the children in the living space and chatting away to guests sat at the island. 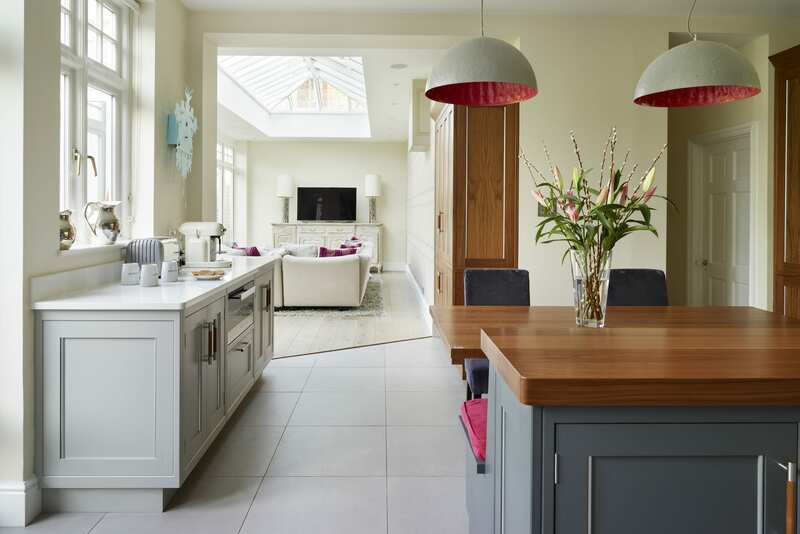 For Grace and Henry’s Tillingham inspired kitchen, they were looking for a kitchen with an informal dining area that flows into the family snug. To create an informal dining space we incorporated banquette seating on the end of the island – perfect for Grace to enjoy breakfast with their son. The L shaped footprint of the room leant itself to positioning the kitchen within the main space, and the snug tucked behind it. The open plan, free-flowing layout means that the whole family can enjoy time together whether it’s at the table, breakfast bar or relaxing in the snug. 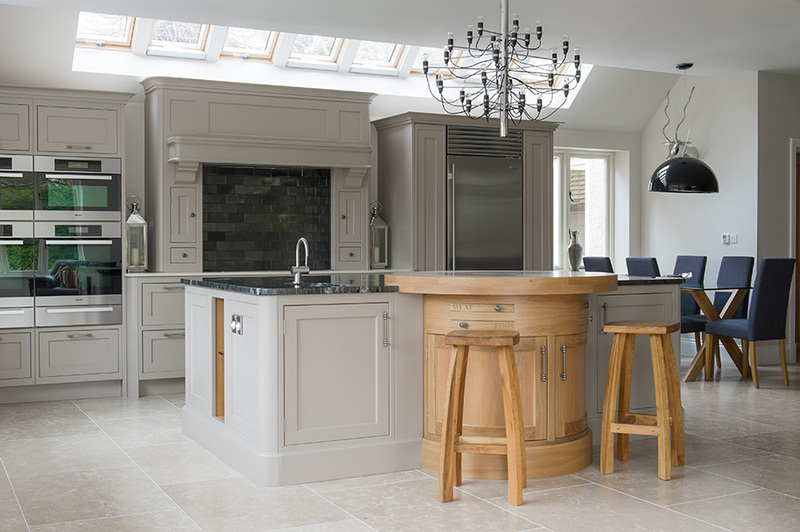 Our Orford project is perhaps one of our most open plan kitchens to date. 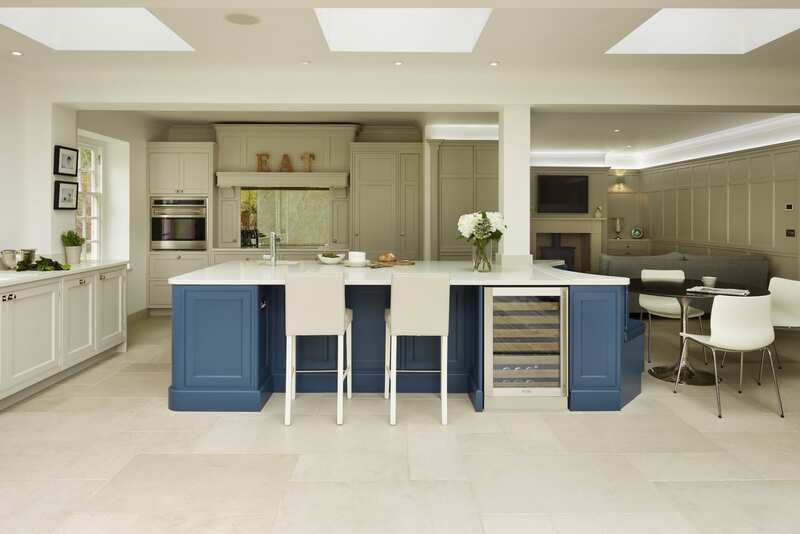 With views of the Suffolk coastline from the garden room extension, our Orford kitchen was designed to fully embrace the relaxed coastal feel with the weathered oak detailing, stone flooring and organic colour scheme. The open plan layout flows from kitchen, through dining and into living, fully embracing the open plan vibe – perfect for a design that centres so much on relaxed enjoyment of the space. If you’re planning an open plan kitchen without a large square space, you’d be forgiven for thinking it may not be feasible. However, our Hove Townhouse project proves otherwise. Utilising the long but narrow footprint of the Victorian property, this open plan layout features the kitchen, dining area and living space which opens onto the garden. 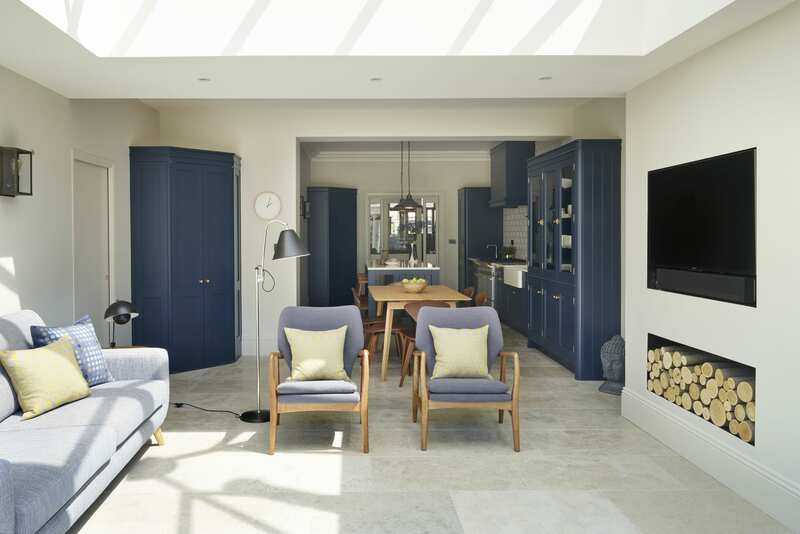 The roof lantern in the living area increases natural light which helps to brighten and balance the dark blue colour palette in the kitchen. 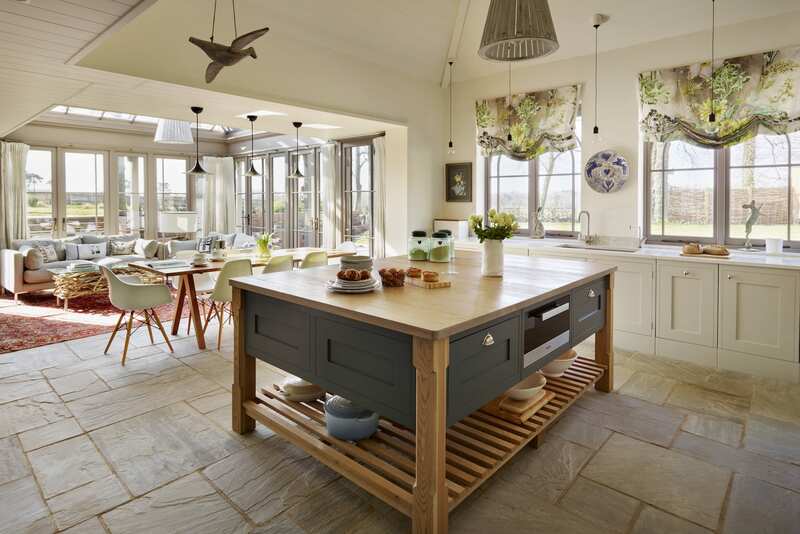 As the kitchen becomes an increasingly sociable space, open plan layouts become increasingly appealing. 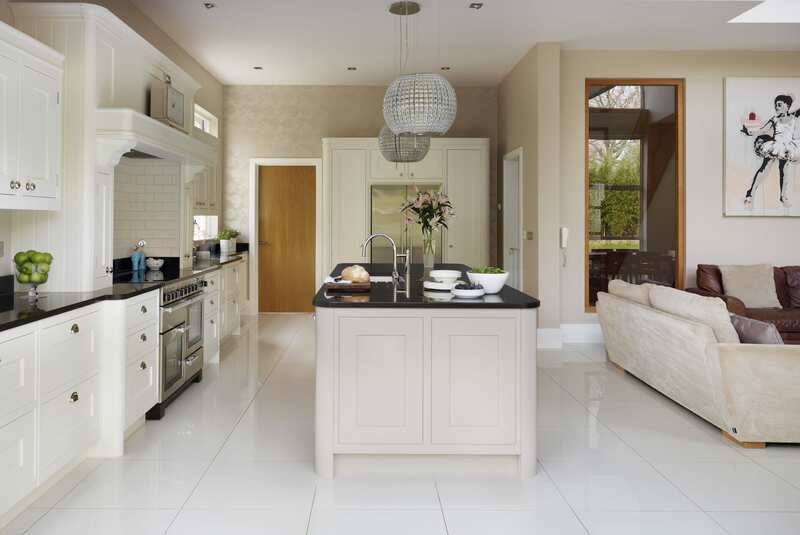 There’s no one way to design an open plan kitchen so why not get in touch and see what our kitchen designers can do for you?